A radiologist is a qualified doctor who is specially trained to interpret diagnostic images such as ultrasound, x-rays, MRI and CT scans. If you have an interventional procedure (such as an angiogram or biopsy) this will usually be performed by a radiologist. Radiologists provide a written report of the results of your examination which he or she will send to your referring doctor. In our radiology department we have a team of 27 consultant radiologists. We also have 50-60 specialist registrars who are qualified doctors training within the Radiology Academy to be consultant radiologists. Click here to find out more about our Radiologists. Radiographers complete a 3 year degree course in diagnostic imaging. All radiographers must be registered with the Health Professions Council (HPC) before they are allowed to work in the UK. We currently have 136 radiographers in our radiology department. As a teaching hospital we have radiography students on site. They will always be supervised by a qualified radiographer. A member of the administration and clerical team will greet you when you arrive at one of our reception areas. They will check that we have all your details and that they are correct, before booking you onto our computer system. Our clerical team books appointments and answer queries our secretaries type reports and provide a support service for our medical staff and management team. The role of our Radiology nurses is to provide an excellent standard of nursing care to patients pre, peri and post interventional and diagnostic procedures and assist the Radiologist during these procedures. Nurses complete a 3 year degree course. All nurses must be registered with the Nursing and Midwifery Council before they are allowed to work in the UK. In our Radiology department we have a team of 10 nurses, a Senior Sister for Imaging and a Matron. The role of the HCA is to provide an excellent standard of nursing care to patients undergoing diagnostic and interventional Radiological procedures and to support the Radiologists and Radiographers. There are 5 part-time HCA's in our department. The role of a radiographer helper is to facilitate the smooth running of patients attending the x-ray depatments. They may get you ready for your examination, for example getting you changed into a gown, giving you a drink before a CT scan or helping you to complete a questionnaire before your MRI scan. We have 1 Radiographer helper supervisor and 21 (full time/part time) radiographer helpers. We have a highly skilled and dedicated team of 5 that looks after our Imaging computer systems, this includes a system for recording your personal details and a record of your examinations CRIS (Computerised Radiology Information System), as well as a separate system on which all x-ray and scan images are securely stored PACS (Picture Archive Communication System). Click here to find out more about how your images are stored. Our IT team are responsible for transferring your images to other hospitals when required. Your images can easily be made available to you (at a small cost) if you move areas or even countries, we recommend that you ask for them if you are emigrating, because it helps doctors interpret your images if they have previous ones too. All members of Trust staff take data protection and confidentiality very seriously. Access to the Radiology Information system is restricted to Radiology staff who have legitimate need to acess clinical information. Requests for access must be made in writing and authorised by the staff member's line manager. All staff must sign and adhere to the data protection regulation form. Access to Pacs for Trust staff is granted upon receipt of a declaration stating they have completed online training and will adhere to data protection regulations. Access is also given to health care staff working within the South West upon appropriate authorisation and conformance to regulation. 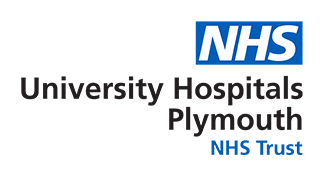 Imaging has one of the largest groups of porters within Derriford that work directly for the NHS. We are a team of 28 full and part time staff working a seven day pattern 365 days a year. We service all our X ray rooms (both East and West), the CT scanners, Ultrasound, MRI both in X ray East and Mansfield, Nuclear medicine and our interventional rooms. On average we can bring between 100 and 130 patients down to the various departments from all the inpatient wards throughout the hospital in a day. We have an excellent working relationship with all the other staff in Imaging, especially working very closely with the radiographers to ensure the patients receive the best service and experience we are able to provide. We ensure that the patient is treated with dignity and respect, however we do not ignore that humour is forefront to our role and is a tremendous tool for putting our patients at ease (we porters seem to have a natural knack for this!!). We will always go above and beyond that is required of us and will assist others in emergency situations. We do all this with a smile on our face.